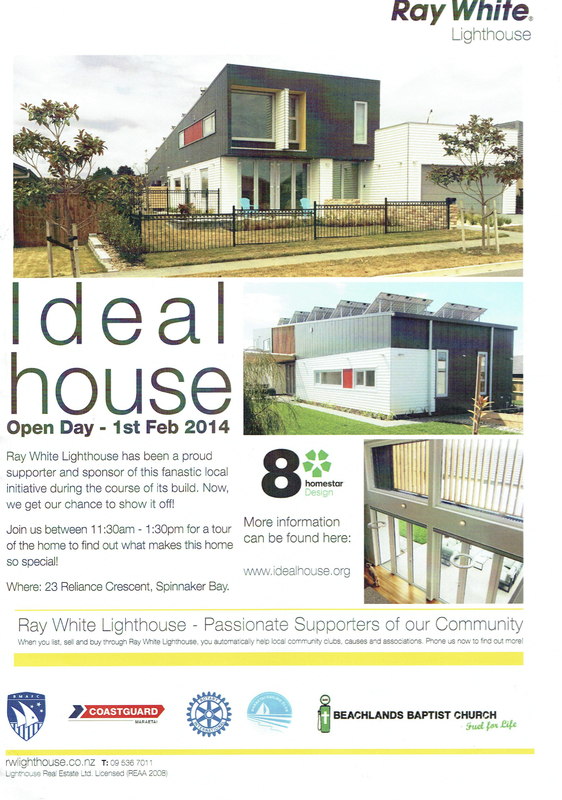 Our next open day is being hosted by Ray White Lighthouse, our local real estate company who generously assisted us with our gardens/plantings. The home will be open 11:30am until 1:30pm, Sunday the 1st of February. Come and view the Ideal House, meet the great team at Ray White, and perhaps have a look around the Pohutukawa Coast while you’re here. Address: 23 Reliance Cres, Beachlands.